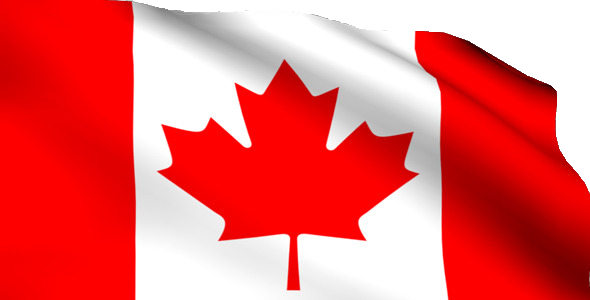 DND Finance was launched in Canada in 2000 and serves clients nationwide. Our services are designed for the underfunded entrepreneurial and small and medium enterprise sector in Canada. Typical customers are businesses with under $2 million in revenue, and a staff of under 10 employees. The average transaction size is between $25,000 and $35,000 to a maximum of $100,000. Passionate about helping SMEs succeed, DND Finance has helped finance entrepreneurs, start-ups and smaller businesses throughout Canada. DND Finance President Bill Dost is a member of the board of the Toronto chapter of the Entrepreneurs Organization and has served as its president and now sits on the Canadian Regional Council. Our ability to match your needs to the right product allows us to provide you with a fair rate for the finance you require. Ask for an estimate today and you’ll have a prompt answer. Make your business work smarter for you. Decision making has never been this easy. The benefit of our proven experience. We have sourced and structured leases for countless satisfied businesses. All you have to do is apply today. We will need some information about you, your business and the type of equipment you need. We will process your information immediately and either give you a call to discuss the leasing options available to you or put you in touch with a suitable partner. When the lease agreement is approved, we will notify the vendor and your equipment will be delivered to you. A division of 1419768 Ontario Inc.
You need funding for a range of business requirements, and we offer flexible financing solutions to meet your mission-critical needs. Our lease products include rental options for commercial trucks and business equipment as well as sale-leaseback agreements for equipment owners. We continuously assess our clients’ interests and expand our products and services accordingly. Leases are usually 2-5 year agreements that spread the cost of your investment over time. You benefit from regular fixed repayments aligned with your business revenue plans. We can offer various end-of-lease options and considerable flexibility to include trade-ups on equipment at mid-term, for example. At the end of the lease contract, you can opt to return the equipment, rent it month-to-month to extend your usage, refinance it to meet your continuing needs or purchase it outright. Our leases have a variety of options to choose from for the end of term, from a $10 purchase to a 10% buyout to a Fair Market Value offering, we have an option that’s right for you. Apply Now! We can even pre-approve you for a credit line if you have upcoming purchase plans. In addition to leases, we offer loans for trucks and other assets that carry vicarious liability. Under the terms of a sale-leaseback agreement we purchase equipment you are already using and lease that equipment back to you. This is accomplished without any disruption to your operations, so you enjoy all of the benefits of leasing and release the stored up capital that was in your equipment for other uses in your business. Align financing terms with revenue timing. Let us know how we can help you secure capital for your continued success. DND Finance is committed to its clients and to the communities we serve by creating jobs, supporting business growth and through charitable donations and volunteerism. Contact us to see where auctions are happening in your area for off lease equipment.